For the majority of us non-Asian shoppers, online Chinese retail websites boggle our brains and squash our joy of shopping. That popping clear photo of the cute floral dress makes you drool with desire, right? But those indecipherable Chinese characters can drive you back to good old familiar Amazon. Google Translate reveals a more inviting site, but the gerryrigged translations, particularly in the terms and conditions, might turn you off Chinese shopping for good! The good news is that there’s a swathe of foresighted Chinese companies that have created English-language shopping websites. Our favorites are AliExpress, Light in the Box, DealeXtreme, Mini in the Box, Banggood and Focal Price. Since each site is different and features its own specialty, it’s worth taking a look at each one. AliExpress (www.aliexpress.com) is a warehouse store. Its customers are primarily suppliers and importers looking to buy big lots of Chinese goods to sell under their own retail banner. AliExpress is really just a portal connecting buyers and sellers with each other. If you’re running your own small import business, or shopping for party favors for a crowd, AliExpress could be your one-stop destination. It features an easily-searchable database. AliExpress also offers tip-top payment processing logistics. So if minimum order quantities don’t bother you, do check it out. 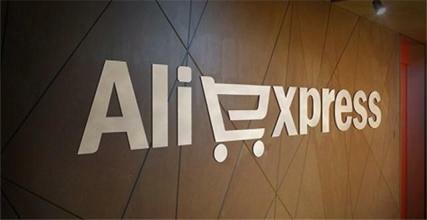 Minimums may even drop over time as AliExpress expands its activities to include sales to everyday retail addicts like us. Light in the Box (www.lightinthebox.com) can feed anyone’s fashion, gadget and lifestyle products addiction. With half-a-million top-class items in its catalog, it boasts a huge selection of eye-catching finds. Any bride-to-be will delight in its gorgeous display of wedding gowns, attendants’ fashion, shoes, hairpieces and all the other trappings you crave for that special day! All you bargain-hunters will be delighted to know that there are loads of coupons available that slash Light in the Box’s already low prices to unbelievable lows. Customer reviews are unanimously positive, reflecting Light in the Box’s commitment to quality, selection, efficient delivery and impeccable customer service. 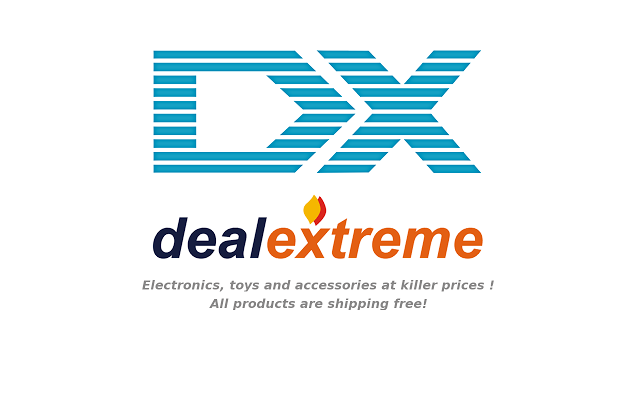 DealeXtreme (www.dx.com) is an amazing wonder-world of electronic gadgets and accessories. Tech-savvy guys and girls can browse and buy to their heart’s content. You can even hang out in a lively DealeXtreme forum. Community is a big deal here, especially in the club that discusses the best in entertainment, automotive and hardware-store deals and discounts. But DealeXtreme is not just about electronics. Looking for a chic purse to match those turquoise wireless headphones? Then don’t forget to check out DealeXtreme’s catalog of the latest styles in men’s, women’s and kids’ fashion. Penny-pinchers will love this company for its worldwide free shipping policy. Mini in the Box (www.miniinthebox.com) is a close relative of Light in the Box, with a focus on electronic accessories, jewelry and watches. Its selection of all the bells and whistles you’ll ever need for Apple products is massive, with over 42,000 iPhone cases, iWatchbands, iPad stylus pens, chargers and lots more. Samsung gets its due too with a selection of 29,000 accessories. If you love everything that glitters, you’ll be wowed by all the watches, gems and precious metal fashion accessories presented in sparkling photos. And more than 4 million Facebook followers of Mini in the Box can’t be wrong! Banggood (www.banggood.com) is looking for price-conscious shoppers, as its motto implies: “Best Bang for Your Buck”. Deep discounting, special deals and coupons abound on this shopping website with a focus on electronics, hobbies and (adults’ and children’s) toys. Two mini-sites of the main English-language portal serve exclusively US and European customers in their local currency. A relatively small shopping site with just over 100,000 products in its international English store, Banggood is the place to go if you’re looking for rock-bottom prices but aren’t adamant about having only big-time designer names in your shopping cart. Focal Price (www.focalprice.com) boasts electronic gadgets, small appliances, car accessories, cameras, computers, jewelry and sports equipment on its chock-a-block homepage. Get your specs on! To help you keep track of what’s trending, a homepage tab displays products newly arrived in the past 15 days. With a catalogue of around 50,000 products, Focal Price offers a smaller selection than some of its competitors, but its super-low prices easily make up for its smaller scale. However, you may want to weigh up potential savings within your customer service considerations: reviews of Focal Price indicate recurring dissatisfaction with delivery logistics and sketchy customer service.